I first gave my office a spruce up last year and it made a world of difference. Switching out the tired carpet we inherited when we moved in for fresh wooden floors and lick of white paint to replace the magnolia (if there’s a colour I hate more than magnolia, I haven’t found it yet). But whilst the make-over made a difference, there were a few finishing touches still lacking including a key piece of furniture that whilst I loved it – just didn’t work in the space. So I’d been on the hunt for the perfect replacement ever since to create a nice cosy corner in the office. Of course, you know how these things work – when you have the perfect replacement in your head…sometimes the people out there haven’t actually created this perfect thing. There was always something that wasn’t quite the right shape/size/shade etc and the hunt continued. 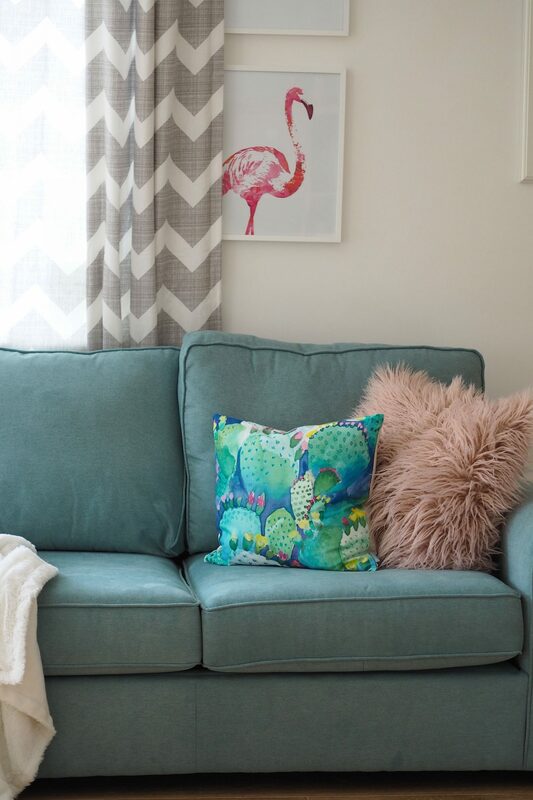 Before I get into more detail, the piece in question was my little turquoise sofa – obviously I loved it, it was such a fun pop of colour. But it was just too small for the room so it looked out of place and beyond becoming a dumping ground for bags it didn’t end up serving much purpose. So the new piece I wanted to find to replace it was a larger sized sofa-bed so it would both fit the space better and serve a function of doubling the office into a spare bedroom. The biggest challenge though was that I wanted to find it in a similar shade? Once I’d gone turquoise… there was no going back! 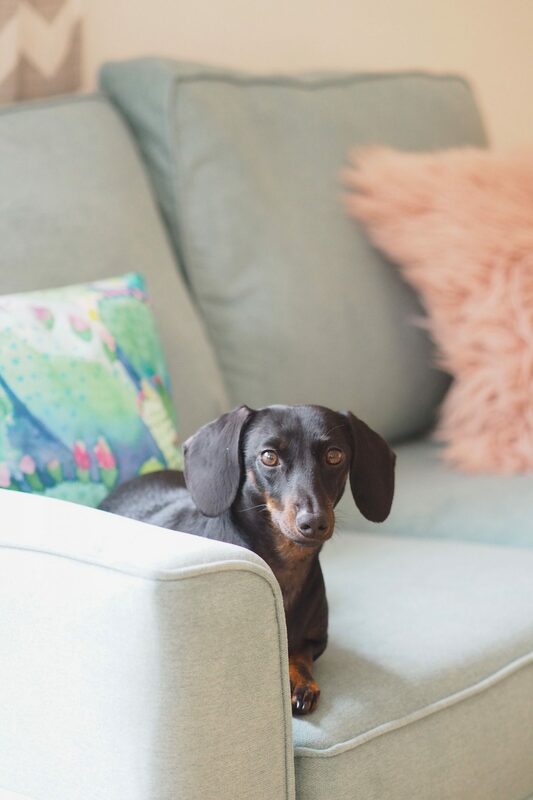 BUT I knew that the main priority was the sofa bed option – another great customisation option is that a selection of the styles have a normal sofa or a sofa bed option. The sofa bed is a metal-action one so it pulls out with a mattress built in. It’s been used once by my brother in law already and he happily reported that he had a good nights sleep on it. Perfect to have as a back up for occasional guests, where previously we’ve used an inflatable bed. It seems so much grown up to have a sofa bed option that’s easily available to pull out for anyone who needs to crash. From order to delivery it was amazingly speedy – each order is handmade in the Harvey’s UK factory and delivered in under 6 weeks (often much faster). The specific style and colour combination I went for is the Cargo Connie Three Seater Sofa-bed in Quinn Jade. This has really been the last piece in the puzzle for me in making the office feel ‘finished’ – it’s amazing what finding that perfect item can do to a space. 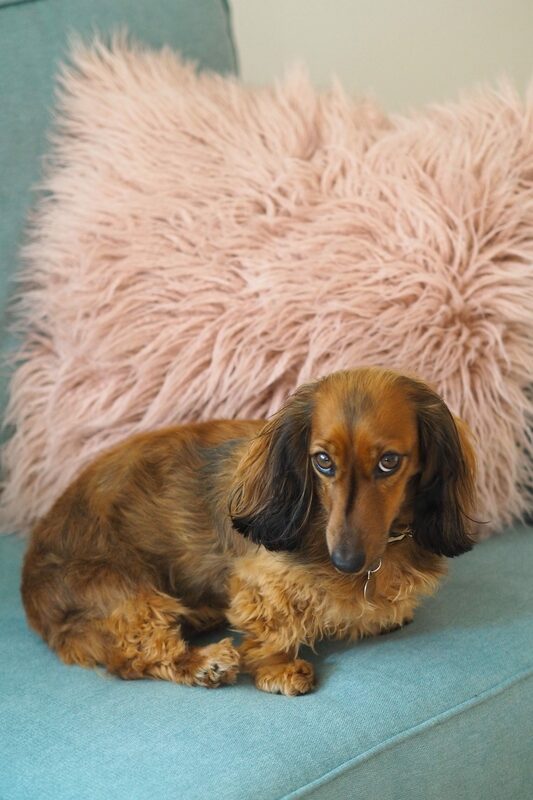 The colour is the perfect shade of being bright and fun, without being at risk of being a shade I’ll tire of anytime soon plus knowing it’s a functional piece as well as pretty (and comfy) is the perfect combination. I really recommend trying out the Harvey’s Sofas By You service if you have struggled to find that piece that’s the exact shade or shape or size that you have in your head. Changes are you can combine elements to create exactly what you’re imagining! I would also really recommend popping into store to see the range of fabrics as when I went in to see them in person before making my decision I found it was great to see the full range of fabric swatches in person to help make my choice. They have plenty of samples too so you can take them away to make sure they go with any other existing pieces or colours in the space you have in mind. 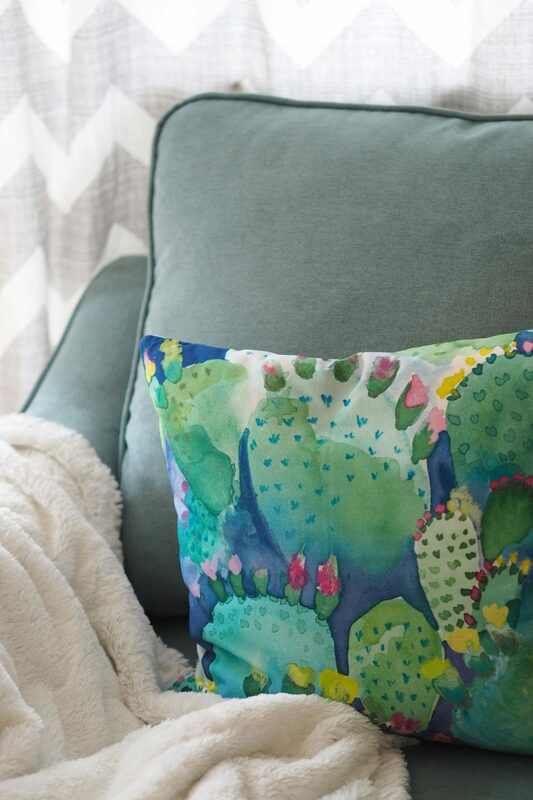 Other items featured: Cactus Print Cushion by BlueBellGrey & Pink Fluffy Cusion by Matalan. White faux fur throw is old but similar here. Next Post Fitness tracking… for dogs? !